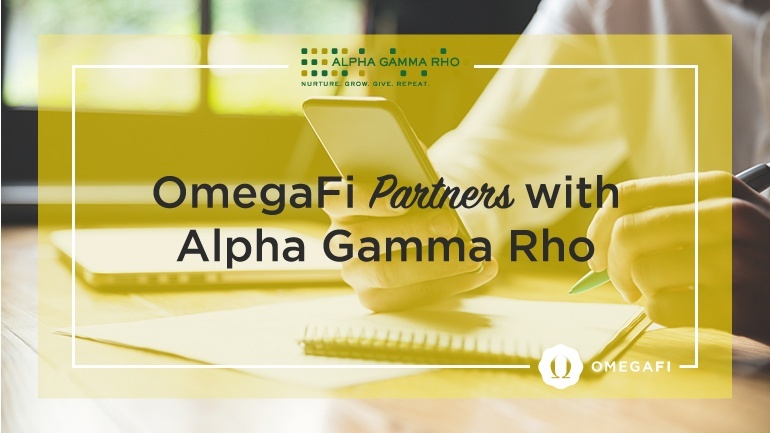 OmegaFi announces its third new partnership this summer­­ - Alpha Gamma Rho Fraternity has chosen OmegaFi’s Vault as its preferred solution for chapter financial management. Alpha Gamma Rho is excited to offer their chapters the opportunity to utilize OmegaFi’s services to collect national dues and help facilitate the management of chapter finances. In addition, Alpha Gamma Rho is looking forward to continuing their efforts to increase resources for chapters. Together, OmegaFi and Alpha Gamma Rho will develop educational tools to help all chapters improve their financial operations. Chief Executive Officer of Alpha Gamma Rho, Rex Martin, commented on his thoughts regarding the partnership, "Many of our chapters and house corporations already partner with OmegaFi on the local level to collect dues and rent, pay bills, manage rosters and file their IRS Form 990. We are excited to see that number grow with our selection of OmegaFi as our partner for chapter management. Continuing our efforts to increase resources for chapters, OmegaFi will help us develop webinars, workshops and other tools to help all chapters improve budgeting, collecting and spending practices." Vault is committed to addressing the unique challenges of managing member data and finances on the local chapter level, specifically, the billing and collection of member-based fees.